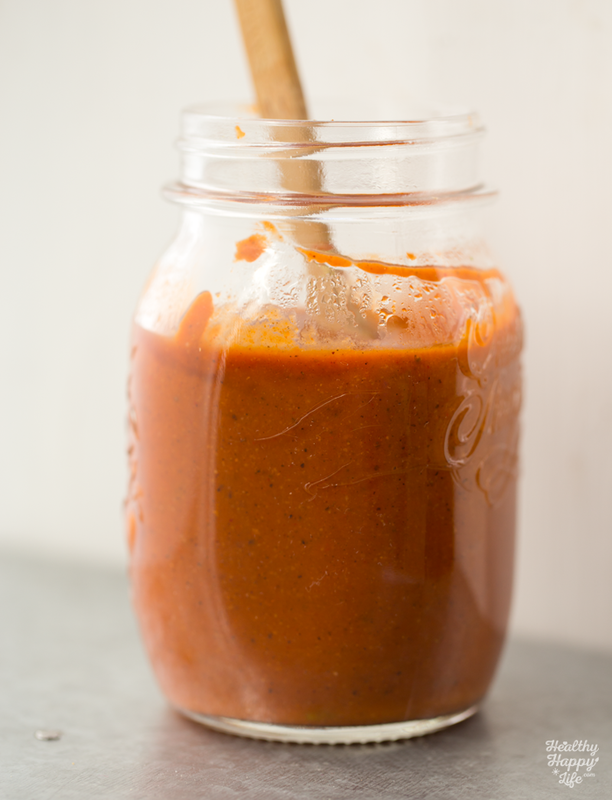 On today's fast and easy vegan menu: homemade enchilada sauce! 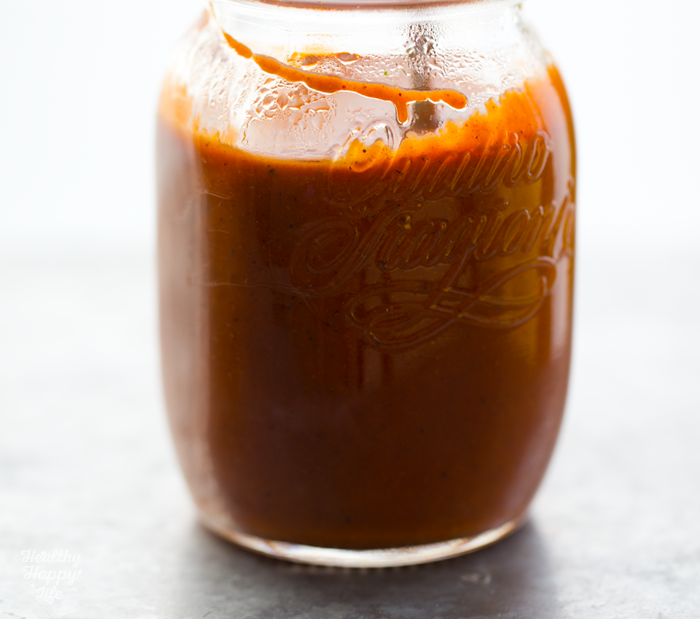 Aka, Smoky Maple Chipotle Enchilada Sauce. 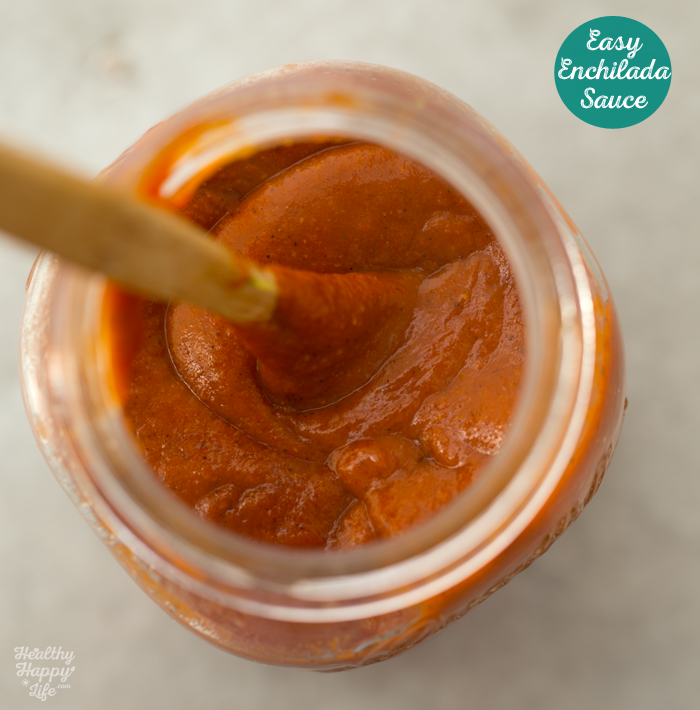 Never buy enchilada sauce again with this go-to, customizable recipe!.. 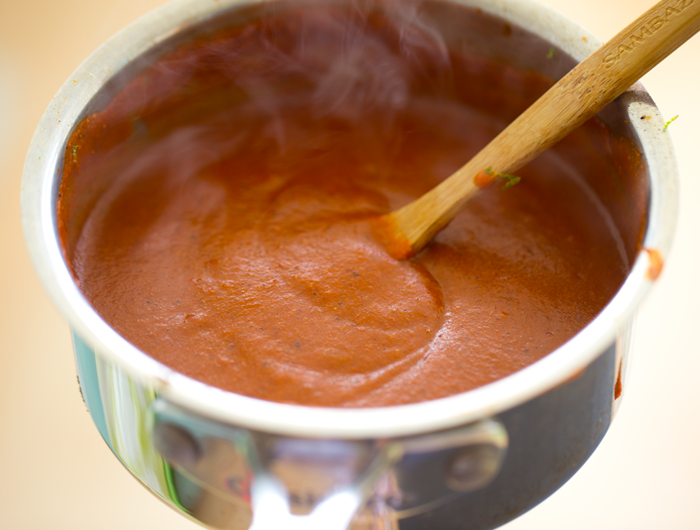 Simmer the blended sauce to thicken and develop the flavors..
Ready to go or save for later!.. 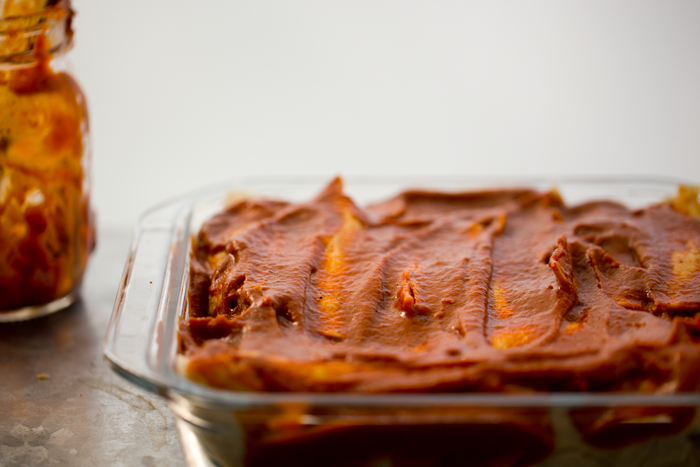 One of my most favorite entrees ever: enchiladas! Growing up in Santa Cruz, California, our family was always going out to eat to Mexican restaurants. And even before I was vegetarian, I always ordered spinach enchiladas. Moist, spicy, steamy, amazing enchiladas, smothered in red or green enchilada sauce, with a side of fluffy red rice and silky black re-fried beans. It was my version of restaurant heaven. And enchiladas were also one of the first meals I learned to make for my family when I was in high school. But I always bought the enchilada sauce. I never knew it was SO easy to make it from scratch! 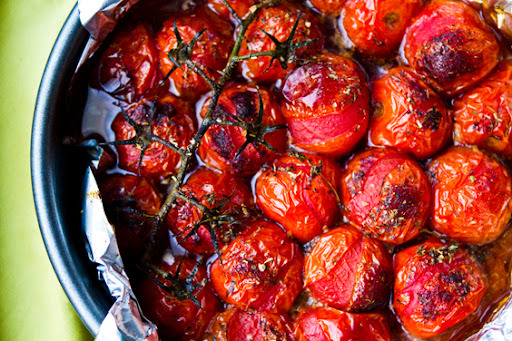 You could also substitute the canned or boxed tomatoes with fresh tomatoes that have been oven-roasted until they blister. Something like this.. 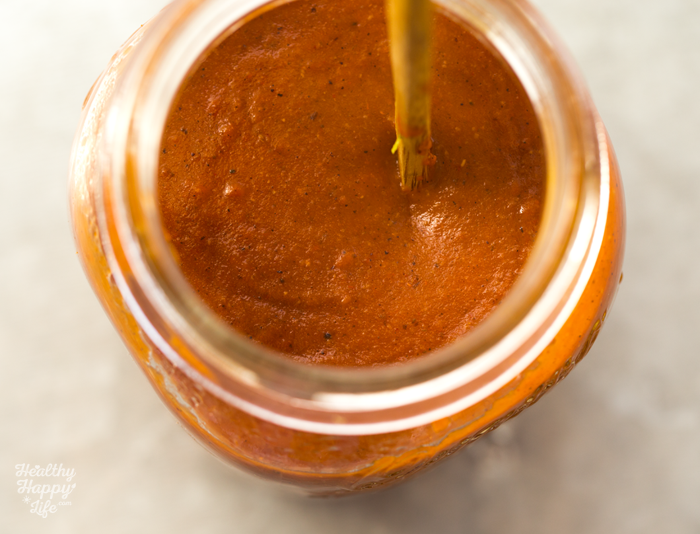 ..I wish I had some tomatoes on hand, but I will absolutely be trying that method the next time I make this sauce. Which should be very soon since the ending meal was so freaking fantastic. And easy! 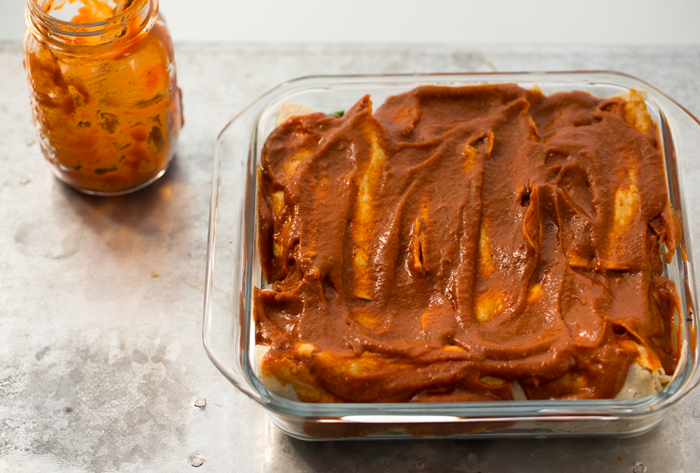 In a few days I will share the enchilada recipe - but for today let us start with the sauce. 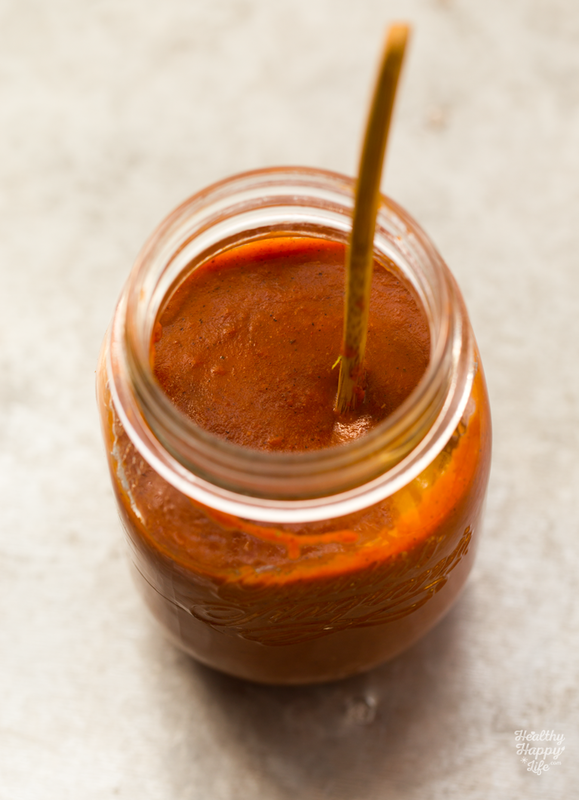 Aka, Smoky Maple Chipotle Enchilada Sauce. 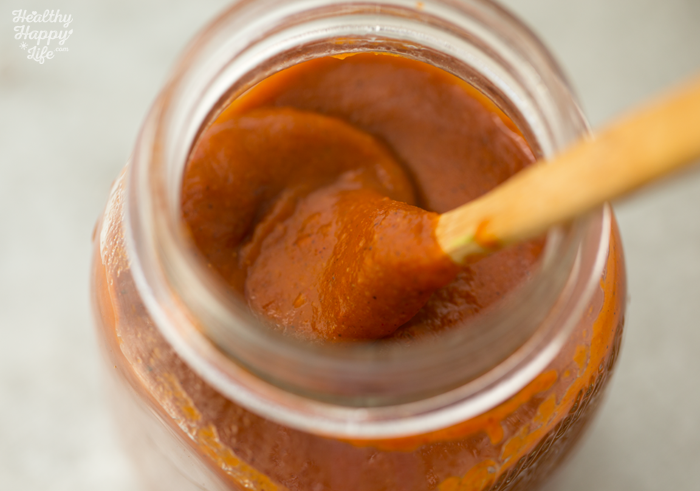 Smoky, spicy, thick and silky red enchilada sauce made from scratch! Feel free to get creative and add flavors like peanut, cacao, roasted chile and more. Add all the ingredients to a high-speed blender. Blend on from low to high for a few minutes, until silky smooth. Transfer the blender sauce to a small sauce pot. Simmer over medium heat for 2-5 minutes, stirring constantly. Simmer until thickened a bit and flavor matures. 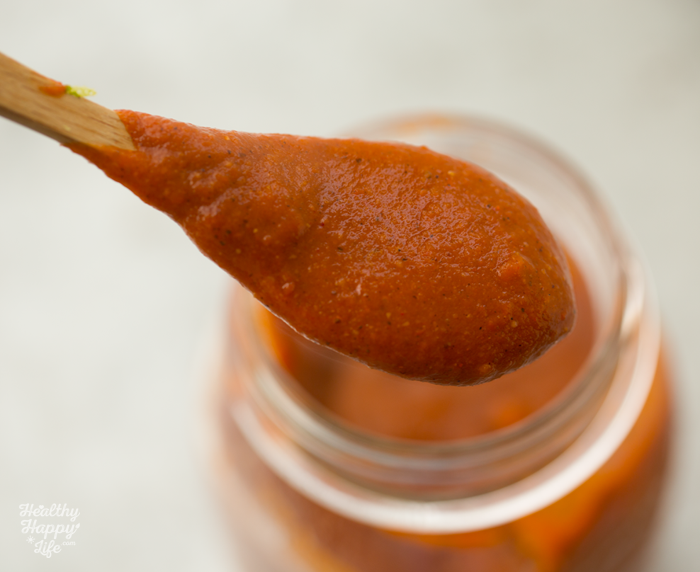 You can pour this sauce into a mason jar for use within 1-3 days - seal jar and place in fridge. Or use right away for enchiladas, taco sauce, burgers and more. 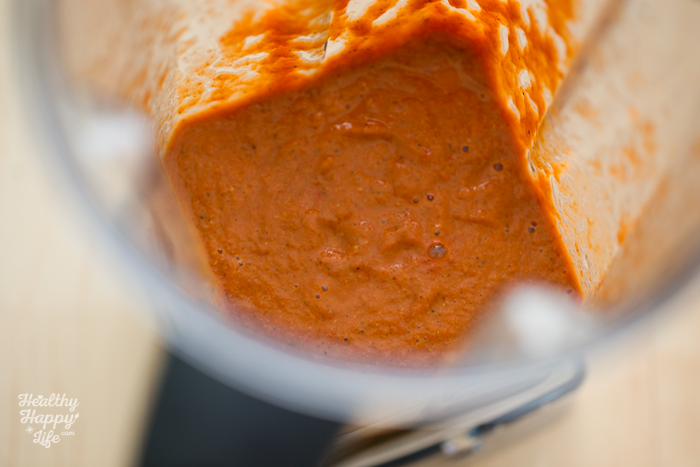 If using as a raw sauce (not to be cooked anymore) you may want to simmer the sauce a bit longer to "cook" the flavors. Prep Time: 00 hrs. 03 mins. Cook time: 00 hrs. 05 mins. Copyright 2007-2018. All Rights Reserved. All images, recipes, and content is Copyright 2007-2018, unless otherwise noted. Do not reproduce any image, recipe, or content without written permission.